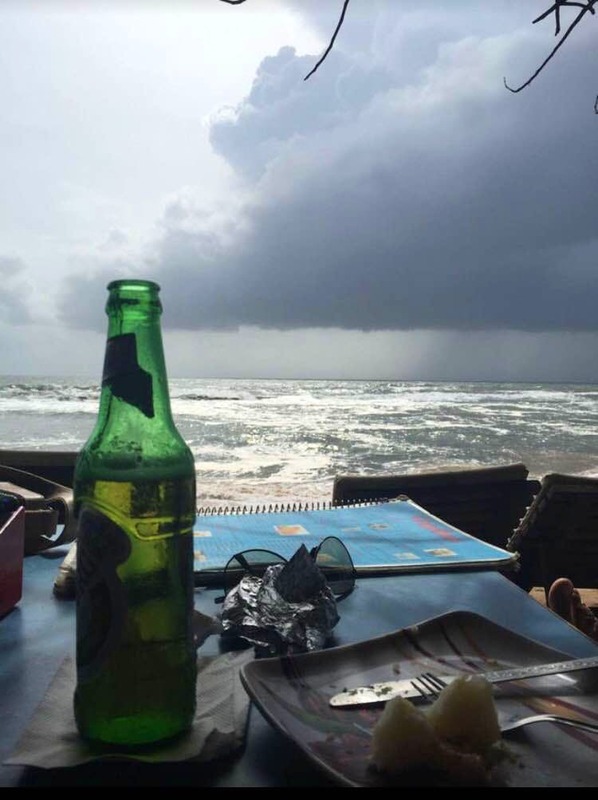 It's best to visit Curlies beach shack on Anjuna beach around 4 pm. Sit on the rooftop to watch a beautiful sunset with a delicious meal and beers. The place offers a great service and you can sit for hours and hours there without having to worry about a thing. Staff won't push you out of the shack even if you're done with your meal and have even paid your bills. They're all polite and very friendly, so that's a plus! Don't sit on the mattress as they are uncomfortable and have sands around them. Parking isn't a problem near this outlet. After you're done with your meal you may decide to even go to the beach, make sure you take your drinks out of the cafe and enjoy them while you're at the beach. Climb the rocks near by to enjoy the water splashed on your face, which is truly a bliss. There is a small market before you enter this shack on the beach.